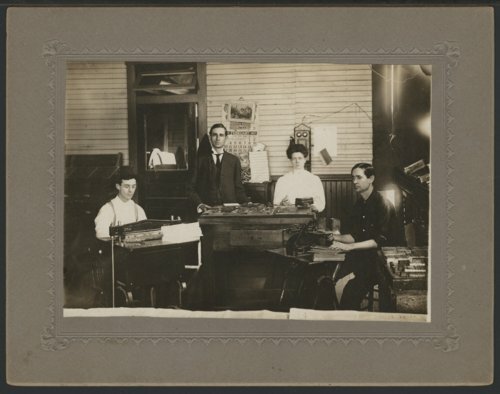 This is photograph of the interior of a printing business in Liberal, Kansas. Employees can be seen using office and printing equipment. An early "crank" telephone is on the back wall.